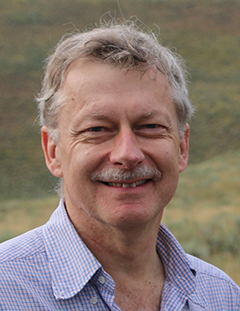 Christopher Dickman is an ecologist, internationally recognised for his contributions to our understanding of terrestrial vertebrates. His pioneering research shows that competition, predation and indirect interactions have more profound and pervasive effects on mammalian population dynamics than previously thought, and has transformed thinking about how these interactions can be harnessed in programs of threatened species conservation and pest control. His ground-breaking research on interactions in arid ecosystems has uncovered novel processes including, long-distance movements, widespread omnivory and extreme behavioural opportunism that are unique to Australian mammals. His work has challenged and redirected thinking that desert organisms show global convergence in their adaptations.